So far Michael Knobloch has created 19 blog entries. "An economical and Ingenious solution for test bench and quarantine boxes for high voltage lithium ion batteries" - Lecture by Michael Knobloch at the Battery Expert Forum in Frankfurt. 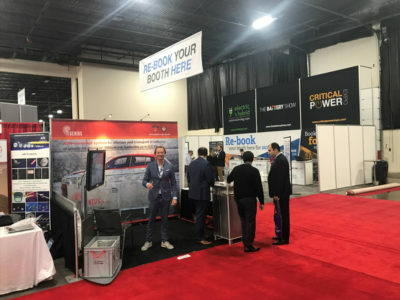 The largest event of its kind in Europe with a total of 100 speakers, 80 exhibitors and 1600 visitors. 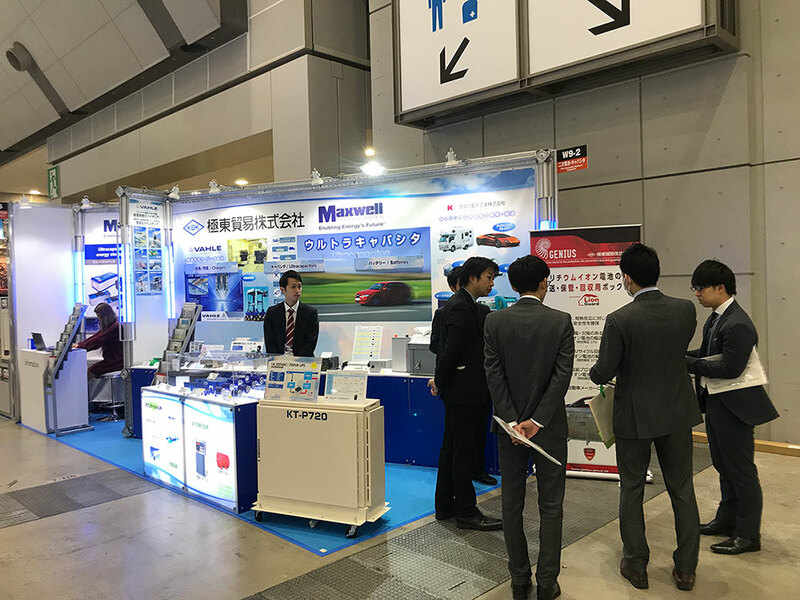 At this year's Battery Show in Japan, the leading trade fair for battery development and manufacturing in Asia, our new Japanese sales partner KBK Group from Tokyo, represented by KBK Europe to make many interesting contacts. 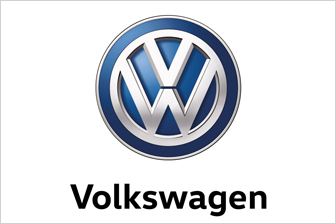 International companies such as Mazda, Honda, Lexus, Toyota, Sony, Sanyo etc. expressed their explicit interest. At this year's Feuertrutz 2019, the leading trade fair for structural fire protection in Europe, the Genius Group, represented by Director Michael Knobloch and Sales Manager Steffen Mayer, was able to generate more than 90 national and international contacts from well-known companies. 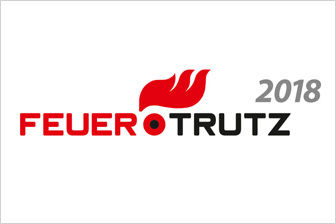 Since 1 March, the Genius Group has been a member of the Förderkreis Deutscher Feuerwehrverband (sponsoring society for fire protection) and is now one of a long series of sponsors supporting the Deutschen Feuerwehrverband e.V. 6. 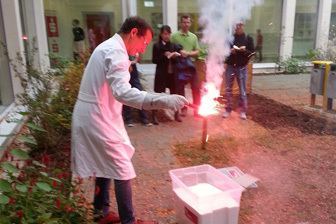 Februar 2018 | The “Fire!Water!Lightning” project involved testing different methods of fire protection and firefighting under different fire conditions. 12 – 14 September 2017 | The Genius Group, represented by their marketing manager Michael Knobloch, can clearly clock up its presence at the International Battery Show in Detroit as a success. 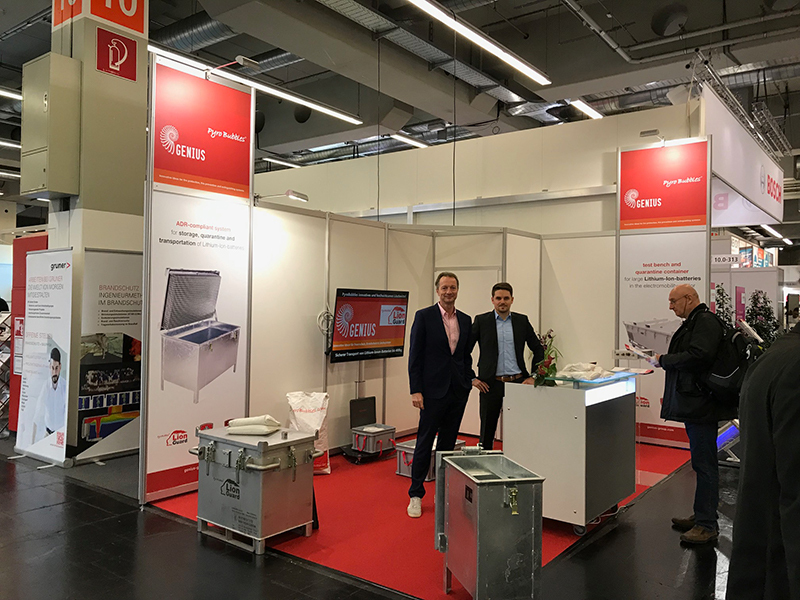 Visitors to the 2018 Feuertrutz Trade Fair in Nuremberg on 21 & 22 February 2018, once again showed keen interest in Genius products for the transport and storage of lithium-ion batteries, for firefighting and for preventive fire protection.